Since IDA's DocuClub was relaunched in 2016 as a forum for sharing and soliciting feedback about works-in-progress, four DocuClub alums have premiered their works on the festival circuit this year. In an effort to both monitor and celebrate the evolution of these films to premiere-ready status, we reached out to the filmmakers as they were winding their way through the festival circuit. 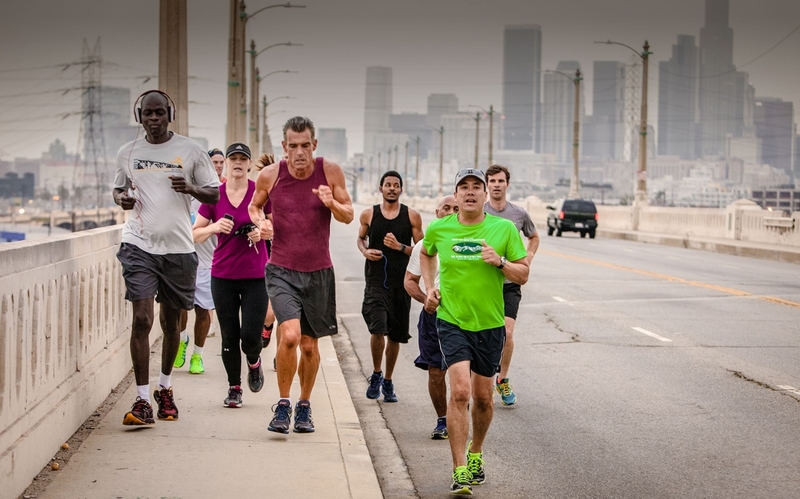 Following their DocuClub screening last year, director Mark Hayes and producer Gabriele Hayes will be premiering their film Skid Row Marathon at the Los Angeles Film Festival on June 17. Synopsis: When a criminal court judge starts a running club on LA's notorious Skid Row and begins training a motley group of addicts and criminals to run marathons, lives begin to change. Skid Row Marathon follows four runners as they rise from the mean streets of LA to run marathons around the world, fighting the pull of homelessness and addiction at every turn. Their story is one of hope, friendship and dignity. What were your expectations going into the DocuClub screening? Our expectations were to get feedback for our fine cut. We had several small screenings but never with more than 10 people. We were eager to learn if we had any major issues with the cut. We were surprised how many people came to the DocuClub screening. Our expectations were high. We have been to several DocuClub screenings before and they were all very good. One of the challenges was that we didn't have enough about Judge Mitchell's background and why he does what he does with the people on Skid Row. We were torn if we should include an additional scene about the judge that called for the use of archival footage. After the screening, we received feedback indicating that we could do more to flesh out the judge and explain what made him tick. In the end, we decided to shoot an additional scene, and that scene is now in the final cut. It was great to see the film with a larger audience to see how people we had never met would react. When we saw people laughing at the right places and being emotional during certain scenes, we felt that our cut worked. It also encouraged us to take more time with the scenes that were really working. People laughed more than we had anticipated, which was helpful because we always believed that some of the scenes were funny, even though the general topic was serious. It gave us confidence to even add more comic relief. There is nothing like hearing a crowd laugh in the right places. Also, some of the comments were very insightful and well thought out. This was a surprise to us because none of the audience knew anything about the project and they didn't have any time to think about it. There are about five characters that we follow, and it is not easy to keep track of who's who. No one seemed to have any trouble, which meant they were really paying attention and that, hopefully, our structure was sound. Key changes were to add a scene about Judge Mitchell's background (his childhood) and slightly extending some scenes. We also smoothed out some of the abrupt transitions and tried to make things a bit more cinematic. And we added a few more transitional shots of Los Angeles. The most substantive change we made was to shorten the scenes of one of our characters, who was shuttling back and forth to Seattle. This confused some in the audience. We eliminated most of the scenes in Seattle and told most of her story from LA. People also liked the drone shots we used, so we decided to add a few more during our transitions from place to place without going overboard. What were the key factors that determined that your film was ready for the premiere at the Los Angeles Film Festival? The key factor that our film was ready for the premiere was that we had incorporated most of the changes we wanted to make, from the fine-cut stage to our locked cut. It will never be perfect and there will always be things that we are not sure about. But you do the best you can, try to get good, objective advice, and then finish. Also, at some point you just run out of funds and the project must be abandoned, for better or worse.